An addendum to the list of things to sew in the last post: check out these little macaron coin purses. One hundred percent adorable! I want to eat them up. Get the instructions here from Joanne at Craft Passion. You know her. She's the same genius who provided directions for the self-zipping coin purse. 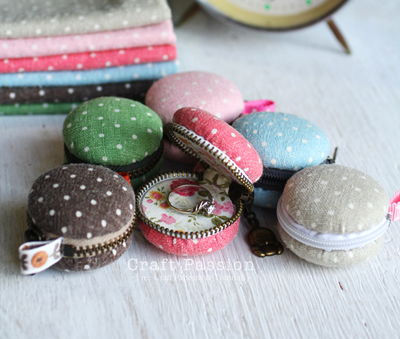 You have read this article sewing / tutorials with the title DIY macaron coin purse. You can bookmark this page URL http://jenkrebs.blogspot.com/2012/01/diy-macaron-coin-purse.html. Thanks! No comment for "DIY macaron coin purse"
Quiz: Are you an introvert or extrovert? Jonathan Adler toilet paper holders? Thanks for reading my blog, guys.